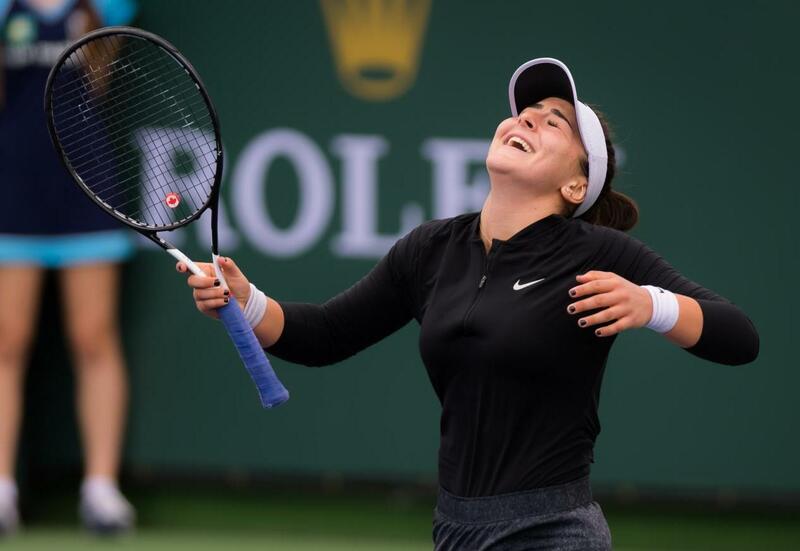 The Canadian teenager Bianca Andreescu knocked off No.6 seed Elina Svitolina of Ukraine, 6-3, 2-6, 6-4, to advance to the biggest final of her season and career at Indian Wells. Andreescu becomes the first wild card to make it into the final at Indian Wells, and improves to 2-0 against Top 10 players after beating then-World No.3 Caroline Wozniacki in Auckland earlier this year. Andreescu was clutch in the crucial stages of the encounter by saving nine of the 10 break points against her in the final set, and breaking Svitolina twice out of her three chances in the decider. 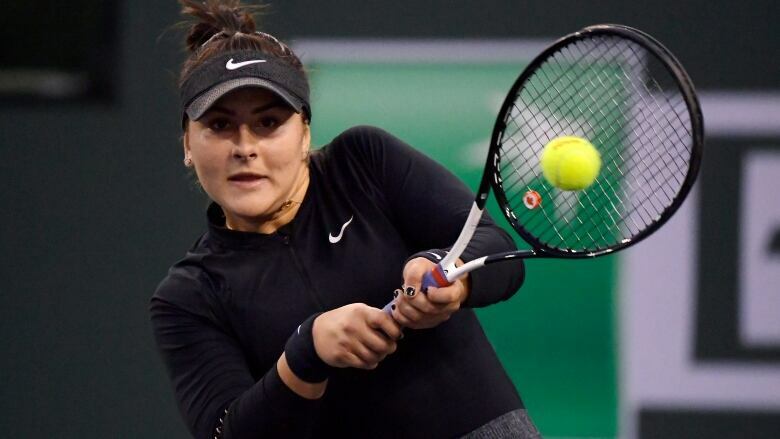 World No.60 Andreescu is now projected to crack the Top 35 of the WTA singles rankings on Monday, and could reach the Top 25 with a title win. To earn her first-ever WTA singles trophy, Andreescu will have to get past No.8 seed Angelique Kerber of Germany, who ended the 12-match winning streak of No.23 seed Belinda Bencic of Switzerland in the second semifinal of the evening. It will be the first meeting between Andreescu and Kerber. Svitolina got off to a hot start in the first three games of the match, while Andreescu was error-prone at that stage. After solid returning by the Ukrainian and early miscues by the Canadian, it was Svitolina who found herself up 3-0, having broken Andreescu twice successively. However, Andreescu completely turned the set around from there. The teenager became the aggressor, taking the ball early and teeing off on groundstrokes from both wings. Andreescu clawed one break back for 3-1, then did it again to level at 3-3 after an audacious drop shot on break point forced an error. Strong serves led to an easy hold for the Canadian, as she reeled off a sixth consecutive game to clinch the opening set. Having won six of the last seven games, Svitolina started the opening set with momentum, but she squandered game point in her first service game, and Andreescu surprised the Ukrainian by breaking serve with a forehand winner down the line. Svitolina did level the match at 3-3, though, as her teenage opponent fired off more unforced errors at inopportune moments. However, Andreescu fought right back, crushing a return winner on break point in the next game to reclaim her single-break advantage and lead 4-3. The Canadian then fought back from 0-40 down in the subsequent game with some brilliant serve-and-forehand combinations, holding for 5-3 and putting the pressure squarely on Svitolina. The Ukrainian had to stare down a match point while serving at 5-3, but held serve. Svitolina then got to double break point at 5-4, but Andreescu saved both thanks to audacious forehands. The teenager then missed two more match points and had to save another break point, but finally won the protracted game on her fourth match point after a netted Svitolina forehand, earning a landmark victory.